In thinking about the impact of our AOM Gerald Levert, I wanted to dedicate a little space to something that I don’t think gets a lot of attention when you think of his legacy. 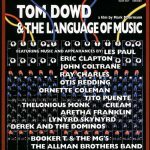 We know the hits: The early work with LeVert, the solo work, the side projects, LSG… but today I wanted to focus on Gerald’s overall musical impact and how he was at the center of a very interesting occurrence at a record label that was seminal in the history of Black Music from the Rock Era forward. Founded in 1947 by Ahmet Ertegun, Herb Abramson and Miriam Abramson, Atlantic had its first hit in 1949 with Stick McGhee’s “Drinking Wine, Spo-Dee-O-Dee” which sold 400,000 copies and hit #3 on the newly christened Billboard R&B charts (christened by a writer at Billboard at the time who at first thought he should rename the “Race Record” chart “Cat Music” instead of Rhythm Blues. That writer was none other than Jerry Wexler who would shortly become an important figure in the development of Atlantic into a powerhouse of R&B.) From that first success came other discoveries in the 1950’s Ruth Brown, Ray Charles groups like the Clovers and on and on. Through their crafty production agreements with folks like Jerry Leiber, Mike Stoller and Phil Spector Atlantic secured itself as a major player in R&B into the 60’s. The distribution deal with a tiny family label out of Memphis named Stax brought Southern Fried Soul to the world and by the mid-60’s Aretha Franklin had moved from Columbia to sho’ nuff get some R-E-S-P-E-C-T. In my humble opinion the nadir of the all powerful Atlantic was those incredible albums, by Aretha, Roberta Flack, Donny Hathaway et al that featured the work of one of the baddest groups of studio musicians ever assembled. I love The Funk Brothers, but the nucleus of the King Curtis band which then went out to be augmented with different fantastic players (Bernard Purdie, Cornell Dupree, Chuck Rainey, Richard Tee, Donny Hathaway, Eric Gale and on and on) is my all-time favorite house band. 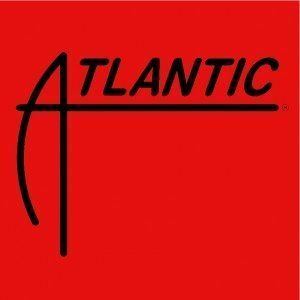 But by the end of the 1970’s something had changed… although Atlantic had been absorbed in 1967 to form the behemoth Warner, Elektra, Atlantic or WEA for short it would be almost a decade later when Corporate Rock, not Rhythm and Blues would become the driving force behind Atlantic, not R&B. The departure of the venerable Jerry Wexler would further signal the death knell so that by the early 80’s Atlantic ceased to have any Black Artists impacting the charts. 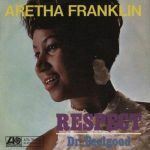 1979 release of Aretha Franklin’s last album for Atlantic La Diva seemed to mark the end of the era. 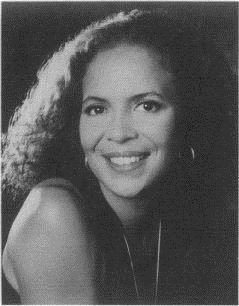 Doug Morris who took over as president of Atlantic from founder Ahmet Ertegun in 1979 took steps to reverse Atlantic’s fortune in Black Music by promoting Sylvia Rhone from the promotion department to the head of the Black Music Division. 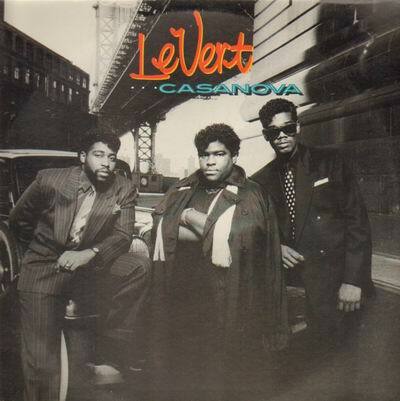 Sylvia Rhone’s first signing was LeVert and they immediately hit with “(Pop, Pop, Pop) Goes My Mind” and later on with a tune written by Reggie Calloway “Casanova”. As with any business, the squeaky wheel gets the grease. In other words, once the success started with LeVert there was a renewed interest in the music that Atlantic had championed only a generation earlier. Through the production work of Gerald LeVert and new signings, acquisitions and partnerships with smaller independent labels, Atlantic by 1990 was once again a major player in Black Music. 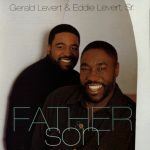 This was in no small part to the effort and output of Gerald LeVert. Let’s take a second to look at some of the projects that Gerald was involved in during this period as well as some of the signings that happened at Atlantic into the 1990s. Gerald’s impressive and prodigious production credits can be found here. 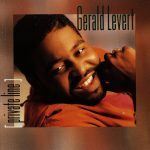 Whether through his work initially with LeVert, or the numerous side-projects that are part of the body of work of Gerald Levert, my intention with this post is to highlight Gerald as a catalyst. 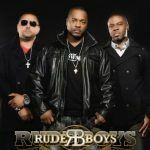 Just like Stick McGhee was the catalyst for the first big Atlantic hit, Gerald along with brother Sean and cousin Marc Gordon set the stage for a renaissance a resurgence for Black Music at a label who had been an early champion of the music. Someone has to the start the fire, get the attention and then a movement can begin. 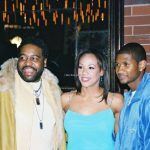 Gerald LeVert helped to light that spark and as such helped to begin that movement. Thanks you for sharing this inspiring thoughts..